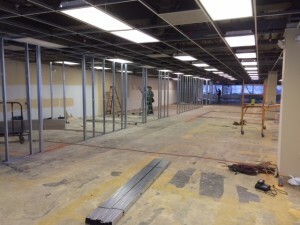 Edison NJ Commercial Renovation – Renovations, also known as fit-ups or retrofits, can be the most complex construction projects. They often present the following challenges: require numerous specialty services, can change and evolve in scope, produce unforeseen problems, include the concerns of accommodating ongoing operations and involve the safety issues of working in occupied premises. DeFazio Construction possesses the experience and professionalism to manage risk and potentially dangerous situations. Our trusted name in the community is substantiated by our reputation for meeting all deadlines and passing all inspections. We can transfer any office space to accommodate your business operations- from office space to warehouse facilities to retail sales. If you are looking for Commercial Renovation Management services, call us today and let’s begin a new journey together.